Black Forest cake contains of several layers of chocolate cake, with whipped cream , the cake is decorated with additional whipped cream, maraschino cherries, and chocolate shavings. 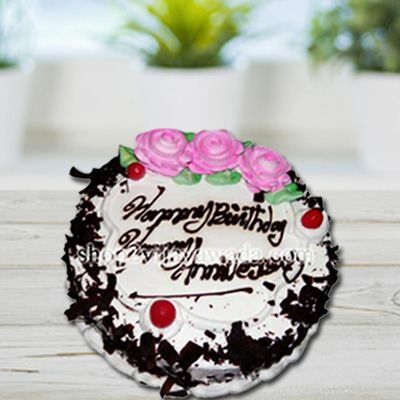 Send this delicious cake to the one you loved.Our mouth watering Black Forest Cake is the best gift you can give to your loved one on special occasions such as birthdays and anniversaries. Our Black Forest Cake is made with the best natural ingredients and truly melts in your mouth. The fresh and delicious Black Forest Cake contains several layers of chocolate cake and whipped cream. The cake is beautifully decorated with fresh whipped cream, maraschino cherries and lots of chocolate shavings. 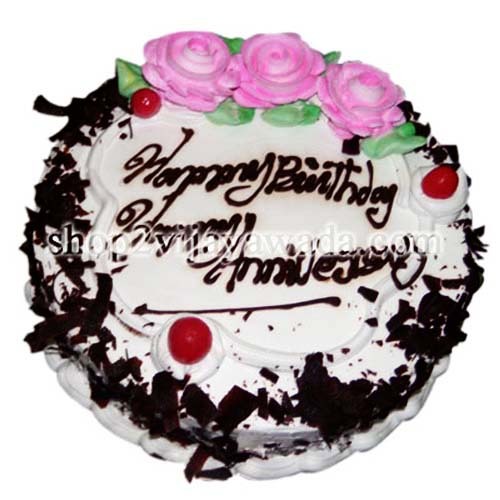 Pamper your loved one on any happy occasion by sending our Black Forest Cake online. We also make same day home delivery and special midnight delivery service much to make the happy day memorable.